The 2008 crash was tough on real estate, but for condo owners, it was even more of a nightmare. For condo buyers to get an FHA loan on a condo, the entire condominium development had to qualify under strict rules. These rules had to do with the number of units that were owner-occupied, the type of insurance the condo HOA carried, the number of condos in foreclosure, etc. Not only were the rules themselves strict, but the approval process took a lot of time and effort for the HOA. Many condo developments were unable to meet FHA approval so anyone trying to sell a condo in an unapproved project was prevented from selling to a huge portion of potential buyers. 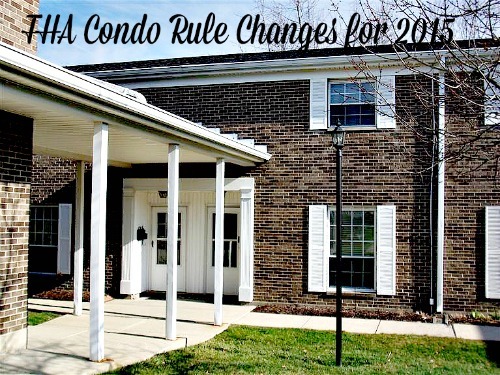 Well, good news for condo owners- last week the FHA relaxed the rules for condo approval. -Expanding the HOA insurance coverages. -Revising the definition of Owner Occupancy- a huge deal for those condos that are used as second homes. If you have a condo in a vacation area, or your condo is likely to appeal mostly to 1st time buyers or moderate-income buyers, these rules changes should make it easier for you to sell your condo. In addition, your HOA should be able to get FHA approval in a more timely manner, with fewer restrictions. 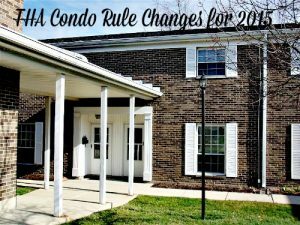 Currently, these changes are only in effect for one year, so if you are an FHA buyer who is looking for a condo, move quickly to find your perfect space. Give me a call for details, Teri Lussier, 937-478-7781.